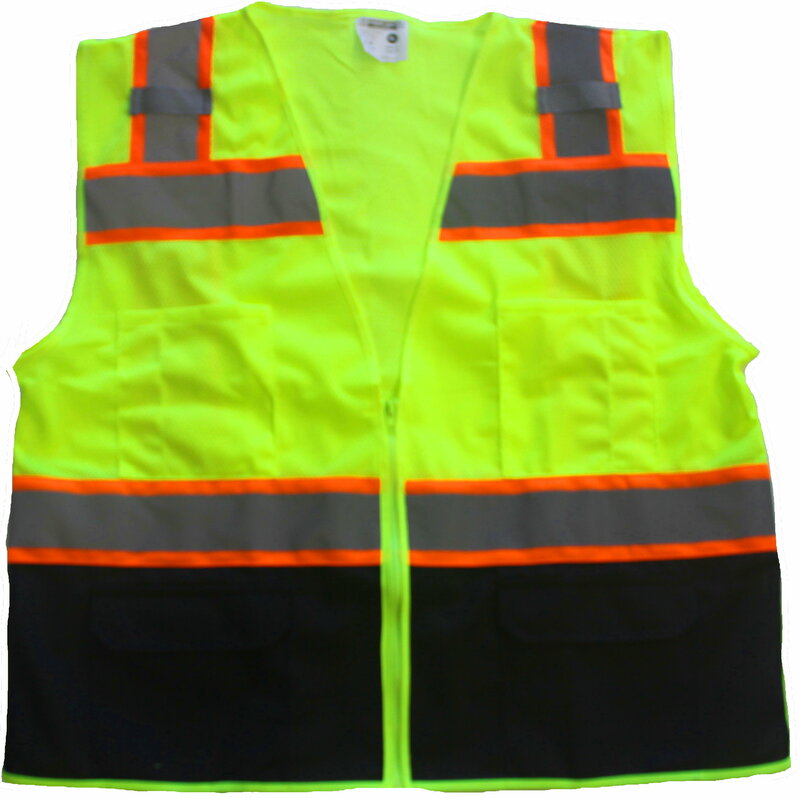 ANSI Class 2 Fluorescent lime yellow green safety vest with black bottom front. 100% polyester jersey mesh fabric with great breathability. 4” wide two-tone horizontal and vertical stripes, with 2“ SILVER tape against contrasting orange background. Horizontal and vertical reflective stripes on front and back. V-neck. Zipper front. 2 chest pockets for tools & pens. 2 flap pockets with Velcro closure. 2 inside front pockets.